Our Silicon Bronze Nails are made from high quality Silicon Bronze wire that possesses a copper alloy. This copper alloy contains Silicon, Zinc, Iron, Manganese, Lead and Nickel. Click here to view our Silicon Bronze range. We manufacture our Stainless Steel nails from 316 grade stainless steel wire. This grade has a high resistance to corrosion. Click here to view our Stainless Steel range. We stock a range of Fencing Staples. These are made from wire that is a combination of zinc and aluminium.Some sizes can come with an extra hot- dipped galvanized coating for a longer life. We offer these in a barbed or plain leg. Click here to view our Fencing Staples range. 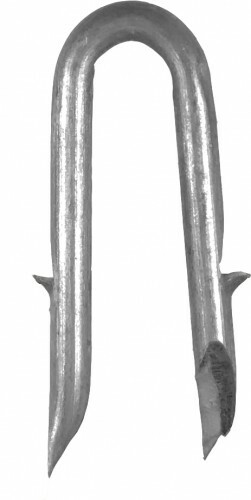 Our Diamond Point Staples are manufactured from high tensile bright wire (same as nail wire), and then hot dipped galvanized. Click here to view our Diamond Point Staples range.